Cape Town, the ‘Mother City’, is one of South Africa’s gems, embraced by the Atlantic Ocean, protected by Table Mountain, and imbued with centuries of history and culture. Natural beauty thrives in the very fabric of Cape Town – from the majestic flat-topped Table Mountain that reveal jaw-dropping views of the city and the open sea, to the awe-inspiring wealth of flora at the Kirstenbosch Botanical Gardens, to the characterful beaches lining the entire peninsula. Chic boutiques, glamorous restaurants and hip shopping districts share the stage with quaint Edwardian and Cape Dutch buildings, making any sojourn through Cape Town a simultaneous study in human creativity. The best hotels in Cape Town capitalize on these distinctive features of the city, operating from intimate, tranquil villas in strategic locations. Check out our top picks below. 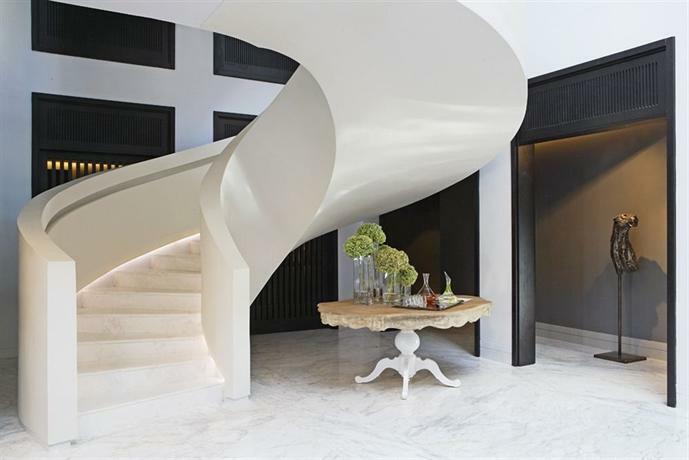 Ellerman House is more than the standard amalgam of 5-star luxuries. 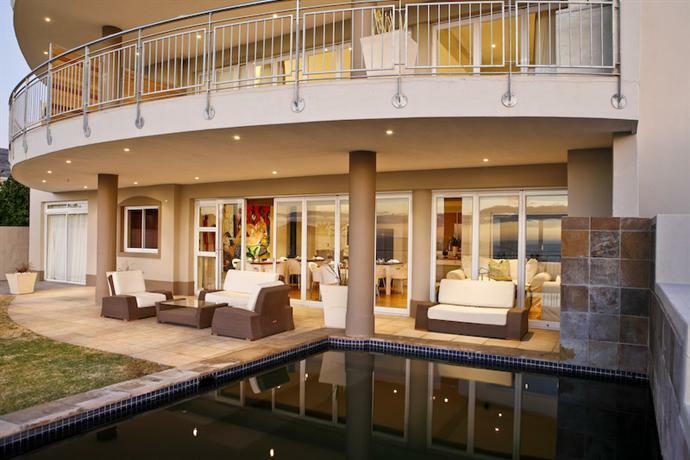 Your stay in Cape Town doesn’t get more exclusive than this. The hotel’s location itself – right on the cliff face over Bantry Bay – places it in a league of its own. Add to this the allure of residing in an Edwardian era mansion, plus the VIP experience of occupying one of the 11 rooms on the property, and you’re in for a holiday like no other! 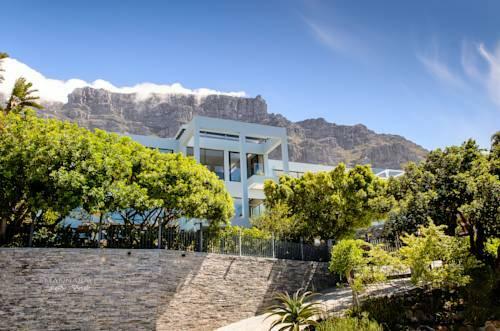 Ellerman House’s Kloof Road location is one of the most prime addresses in all of Africa. The special breed of seclusion and the awe-inspiring open sea views that the hotel offers, more than make up for its distance from the busier parts of Cape Town. Those who do need to head out, though, can easily book a cab or ask the hotel management to arrange for a car. 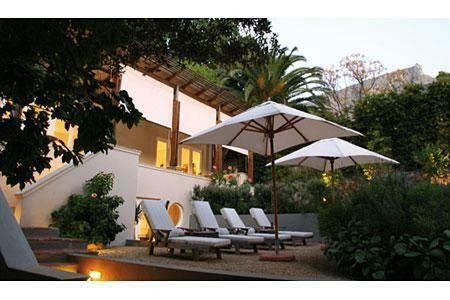 The elegant Ellerman House is surrounded by large terraced gardens that lead to a swimming pool. Its renovated interior continues to showcase antiques and original architectural details, while accenting them with glamorous modern colors and finishes. The hotel lobby, rooms and gardens are home to a curated South African art collection, which interested guests can explore at will via an innovative self-guided iPad tour. Each of the 11 rooms in Ellerman House has its own unique character, but all are well-lit, spacious and luxuriously appointed. Almost all offer gorgeous sea views, and 2 private villas offer that extra level of privacy. Guests are entitled to complimentary breakfast and evening cocktails. There’s a great on-site restaurant with a farm-to-table menu, and a wellness spa that you can while the hours away in. Offering a luxury Cape Town holiday in the heart of nature, the chic Tintswalo Atlantic is located within Table Mountain National Park. Find yourself surrounded by the best of both worlds – open sea views, pristine beaches and endless greens, together with the finest modern luxuries and amenities. Tintswalo Atlantic takes the shape of a remote beachside lodge with multiple wood-and-glass cabins surrounded by milkwood trees, landscaped gardens and a private track that culminates in a pebbled beach. The urban hubbub of Cape Town is a half-hour drive away, while the splendor of the Atlantic Ocean and Sentinel Peak is right outside your window. All 10 suites here are unique in design (alluding via name and ambiance to 10 different islands), though tactile hardwood finishes and vivid natural hues adorn them all. They have private decks, fireplaces, separate sitting areas and satellite TVs. Breakfast and house drinks are complimentary. Guests can partake of meals of their choice in the lodge’s dining room, or unwind in the heated pools on the property. An expert fleet of staff is available to assist you with anything you need, from in-room spa treatments to guided nature trails. A contemporary boutique hotel located on the upper reaches of Table Mountain, MannaBay marks one end of the upmarket Oranjezicht suburb. Cape Town’s city center is a 5-minute drive away, and a few more minutes will get you to the Waterfront, Camps Bay Beach, and cable car stations. The hotel functions from the premises of a former private residence, surrounded by well-tended terraced gardens, a swimming pool and a firepit. The interiors of MannaBay are quirky yet luxurious, featuring an eclectic mix of striking wallpapers, generous bookshelves, assorted pieces of furniture, and a fine collection of South African artwork personally curated by the owner. There are 8 guest rooms here, all individually designed, spacious, and equipped with flat screen TVs and free Wi-Fi. 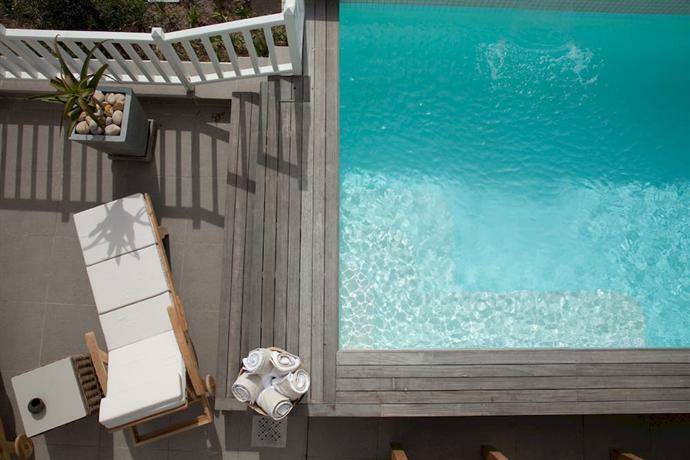 They offer equally amazing mountain and sea views, and some have their own plunge pools. Guests at MannaBay get free perks including a sumptuous breakfast buffet, afternoon tea and coffee, wine tasting evenings, and transportation to the airport and the city. In-house dinners can be arranged on request, and drinks can be had at the gorgeous rooftop bar. Gym facilities are also available. The friendly staff at MannaBay will also assist you with dining and sightseeing recommendations across Cape Town. The sophisticated Queen Victoria Hotel operates under the Newmark banner, and enjoys a waterfront setting right by Cape Town Harbor. A number of popular attractions are within walking distance of the hotel, including Two Oceans Aquarium, and the Nelson Mandela Gateway ferry terminal. The highlight of this hotel, though, is its assembly of ultra-luxurious rooms and suites, designed to make you feel like royalty. With just 32 rooms and 3 suites, Queen Victoria Hotel manages an intimate ambiance. Each of these is individually decorated, and sports features such as flat screen TVs, coffeemakers and free Wi-Fi. Most rooms offer lovely Table Mountain or harbor views. Suites step up the luxury by a few notches, offering stocked minibars, Charlotte Rhys accessories, and in the case of the Presidential Suite, an extensive private balcony with panoramic mountain and sea views. A separate Manor House on the property offers 4 exclusive suites with their own patios and dining rooms. Butler service is available, as is the opportunity to sample a range of cuisines at the hotel’s restaurants and cocktail bar. Guests can also avail of the hotel’s fitness center and luxury spa, and access a range of other amenities in adjoining hotels also managed by the Newmark group. 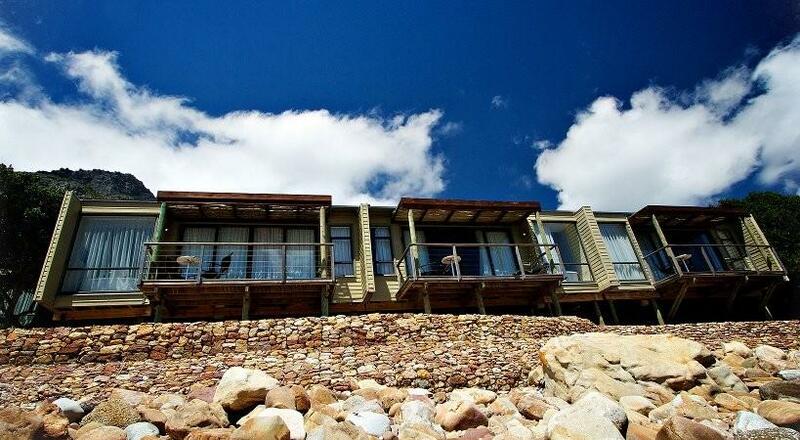 A stylish boutique hotel with verdant surroundings, perfectly located on the Table Mountain slopes facing the sea, Atlantic House Guest House offers a well-executed combination of seclusion and luxury. 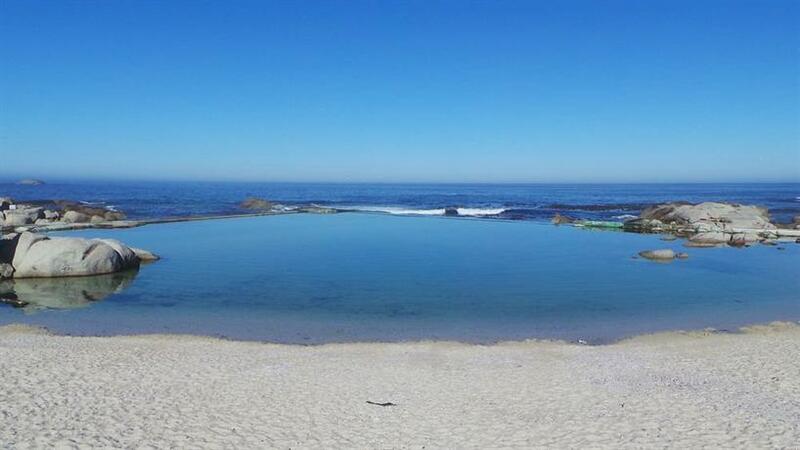 The hubbub of city life is within viewing distance, in the shape of the glamorous restaurants lining Camp’s Bay Beach. The experience of staying at Atlantic House is unmatched in its level of privacy. There are only 5 rooms here, all individually decorated in a theme of simple, minimal elegance, featuring pristine white linens, hardwood floors and spacious ensuite bathrooms. 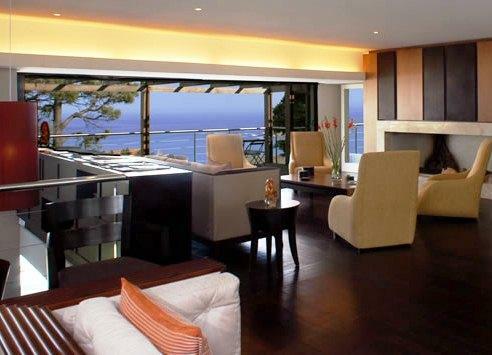 Gorgeous sea and mountain views become the focus of every room, enhancing their atmosphere of quiet, tranquil bliss. Mornings begin with a sumptuous breakfast spread in a charming dining room overlooking a secluded garden. A stylish lounge with an honesty bar and an adjoining sea-facing deck is a great place to while away a quiet afternoon or evening. The property also has a swimming pool. In-room spa treatments, Cape Town sightseeing tours and airport transfers can be arranged on request. With the bustling, palm-lined Camp’s Bay Beach just a short downhill walk away, guests can also indulge in delicious, inexpensive dinners by the sea every evening. 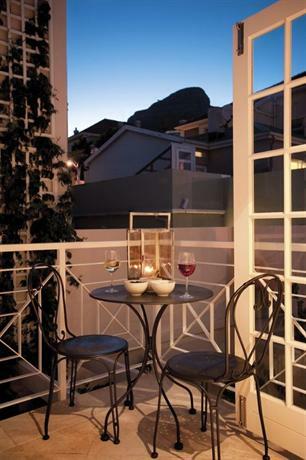 More Quarters, a chic apartment-style hotel set on quaint Nicol Street, offers the charming vibe of a 19th century European neighborhood, along with easy access to the bustling cosmopolitan side of Cape Town. The bars and restaurants of Kloof Street are right around the corner. You’re also just a short ride (or a pleasant walk) away from the Table Mountain Aerial Cableway, and the Victoria & Albert Waterfront (free shuttles available). More Quarters is essentially a collection of adjoining houses, tastefully converted into 18 ultra-stylish and luxurious 1- and 2-bedroom apartments. These have fully equipped kitchens, separate living/dining areas, and private courtyards or balconies. The hotel serves a sumptuous breakfast in its dining room. A cozy lounge serves tea, snacks and drinks. Revel in old-world elegance at the Andros, a boutique hotel housed in a 1908 Herbert Baker building with sprawling landscaped gardens. The hotel has a quiet suburban setting with Table Mountain for a backdrop. The Kirstenbosch Gardens, Newlands stadiums, and the shopping and dining options of Cavendish Square, are all a short drive away. Accommodation here takes the shape of 12 rooms and 3 suites, with country-themed décor and gorgeous mountain and garden views. Breakfast is complimentary, and delicious French dinners can be had at the hotel’s elegant terrace restaurant. Other perks include a slick cocktail bar, a swimming pool, a salon, a gym and sauna, in addition to well-appointed conference facilities. Enjoy a craft blend of open sea views and cosmopolitan glamor at the Marly, an intimate boutique hotel just across the famous Camps Bay beach. It offers 11 stylish, contemporary rooms, finished in pristine whites and revealing glorious sea and mountain views. The rooms have sitting areas, balconies, stocked minibars, safes, coffeemakers, flat screen TVs, iPod docks and free Wi-Fi. A few premium rooms have their own whirlpool tubs. Guests can order room service at any hour, enjoy complimentary breakfast, explore the Japanese menu at the hotel restaurant, or sip drinks by the hotel pool. A charming country-style guesthouse in Hout Bay, Kronendal Heritage Estate is tailored for intimate, secluded Cape Town getaways. 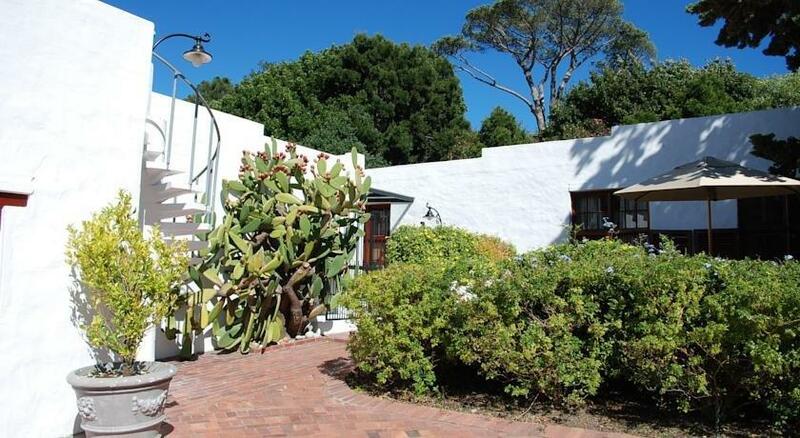 Housed in a late 19th century Cape Dutch style building surrounded by verdant gardens, the beautifully renovated guesthouse offers the full range of 5-star creature comforts. There are 6 individually designed suites here, all featuring Egyptian cotton linens, Moya toiletries, and rich fabrics and finishes in tune with the specific theme of each suite. Some have private terraces, gardens and even parking. Guests can enjoy complimentary breakfast, order in-room massages and treatments, book airport transfers and private limousines, or have their corporate events organized by the management. The property has its own swimming pool, and free Wi-Fi all around. Just 300m from the glamor and hubbub of Camps Bay Beach, Sea Five brings marvelous, uninterrupted sea views to your room, together with an assortment of luxuries. 7 tastefully designed rooms and suites blend South African and Mediterranean elements, creating a lovely palate of soft greys and whites with gentle strokes of color. 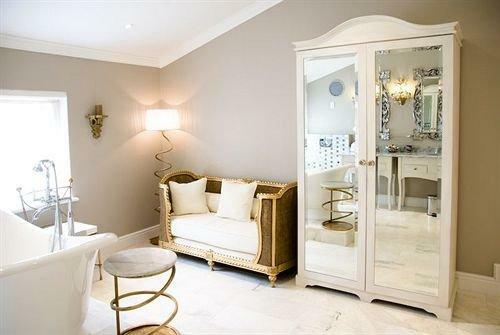 Private terraces, pure Italian linens, underfloor heating, electronic safes, complimentary gourmet breakfasts and personal concierge services sweeten the deal. The in-house chefs will also cook you a delicious lunch or dinner of your choice, which you can enjoy in your room, or in the hotel’s dining area, landscaped gardens or poolside deck. Retreat into the tranquil environs of this Table Mountain boutique hotel, while knowing that V&A Waterfront, Camps Bay Beach and Kirstenbosch Gardens are just a short drive away. Four Rosmead is housed in a 1903 villa, impeccably renovated into a range of chic French-country rooms with heated floors, mountain views and excellent mod-cons. Premium rooms have their own patios with outdoor showers. 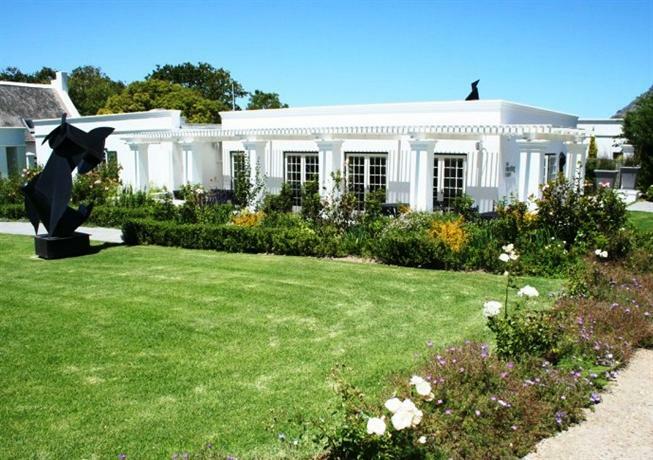 The property has a spa, and an outdoor pool surrounded by gardens. Guests are entitled to free parking and a-la-carte breakfast, and can order their choice of lunch and dinner for a fee. A range of upscale fully-serviced apartments a mere 4 minutes from Camps Bay Beach, South Beach lets you settle in and enjoy the sights and delights of Cape Town in the manner that suits you best. The vibe in all 19 seafront suites echoes Miami, and facilities range from a private gym to bicycles on hire. All suites have fully functional kitchens, fantastic sea and mountain views, and the complete range of appliances and gadgetry. Your refrigerator is stocked with breakfast items every day, and freshly baked breads are delivered to your door every morning. Plus, South Beach houses an exquisite collection of South African art that you can peruse and admire at leisure. A hotel that lets you immerse yourself in the history and culture of Cape Town, Cape Heritage Hotel is set in the heart of vibrant Heritage Square, with everything from retail to restaurants to corporate offices making up its immediate precinct. Marvel at well-preserved classical grandeur, including South Africa’s oldest fruit bearing grapevine! Rooms here are sophisticated and classically appointed, with wooden floors, chandeliers, 4-poster beds, and vintage furniture. They also have premium mod-cons, free Wi-Fi and room service. 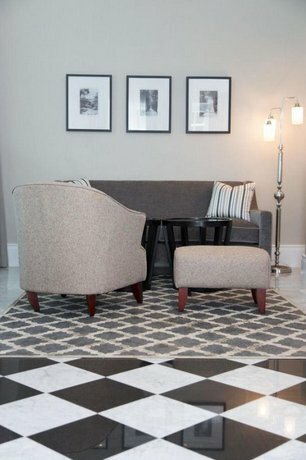 The Cape Heritage building houses multiple refined lounges around an intimate court. A complimentary breakfast buffet is served every day. 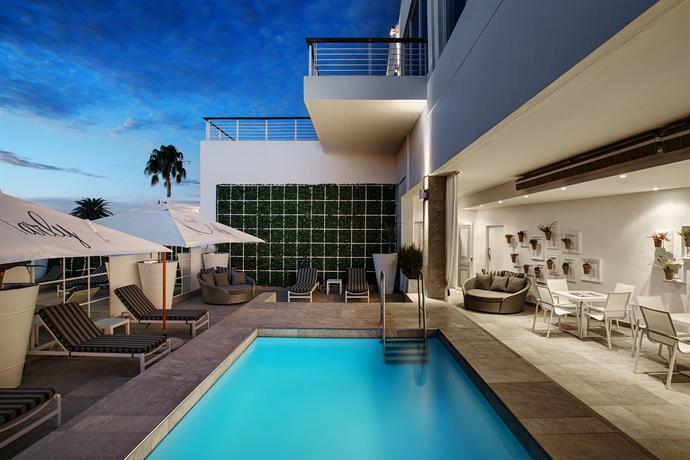 Unwind in style in the luxurious 3 On Camps Bay boutique hotel in the Western Cape region. The bustling, restaurant lined Camps Bay Beach is within walking distance from here, and Table Mountain is a 5 minute drive away. A variety of spacious, airy guest rooms offer garden or sea views, while some have their own balconies and sitting areas. Guests can also choose the executive suite for a more spacious and stylish setup, or the property’s 2-bedroom cottage that overlooks verdant gardens. Perks include a sumptuous breakfast buffet, an all-year swimming pool, free Wi-Fi and private parking for guests. 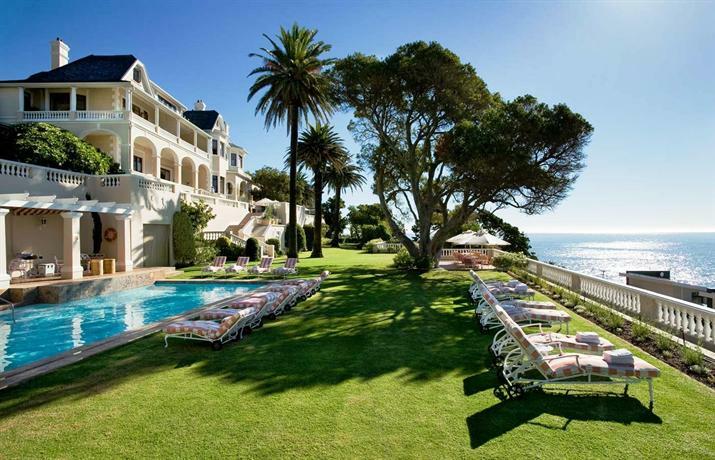 Treat yourself to a stay at Cape Town’s oldest registered farm, which now houses the chic Steenberg Hotel. The sprawling grounds are home to an 18-hole golf course, landscaped gardens, a luxury spa, and of course a history that dates back to the 17th century. The boutique hotel offers heritage themed suites as well as sophisticated modern rooms, all individually decorated and equipped with flat screen TVs, coffeemakers and free Wi-Fi. Premium rooms and suites have their own kitchenettes and fireplaces. Besides complimentary breakfast and a wide range of wining and dining options, the hotel also offers conference facilities and a private swimming pool.